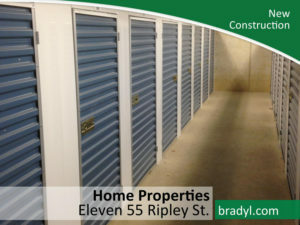 Add apartment storage units and increase property value and resident satisfaction! Bradyl can recommend options for custom, high-quality, cost-effective resident storage solutions for new construction and renovations. 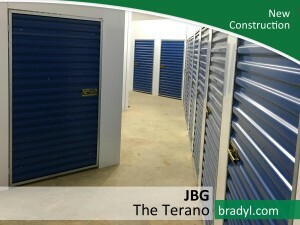 Why Partner with Bradyl Storage Solutions on Your Next Project? Value Engineering & Competitive Pricing: We offer competitive pricing on the highest quality storage products. We provide estimates based on your architectural drawings and specifications and preemptively value engineer by providing alternate product recommendations and pricing to meet your needs at a lower cost and with potentially greater use of available space. Industry Knowledge: We bring years of experience working in and for both existing and new properties – we understand your challenges and work alongside you to meet your requirements as seamlessly as possible. Beyond simply procuring and installing products, we can work with your architect to recommend and specify options based solely on space allocations as needed. Have your architect contact us to set up a no-cost, no-obligation discussion to review how we can collaborate on your project. Project Management: Bradyl understands the importance of delivering on time and on budget. We work with you to accommodate any changes required in the field to ensure your project stays on schedule. Bradyl can manage your storage project from start to finish by offering pre-construction design estimates and recommending the best layout within your budget. Bradyl Box – The Bradyl Box offers a garage storage solution allowing residents to use, previously wasted space above the hood of their car. Bradyl Bins – The Bradyl Bin is a customizable enclosed garage solution that keeps resident belongings safe and secure in multi-family common areas. Contact us today to see how we can help you fulfill your storage needs.